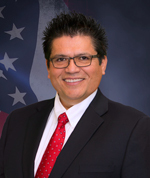 Jaime Cruz serves as Executive Director for Workforce Connections, Southern Nevada’s Local Workforce Development Board. Prior to his appointment as Executive Director in October 2017, Cruz served as Chief Strategy Officer for eight years and was instrumental in partnering with local libraries to expand WIOA driven workforce programs. Cruz understands first hand the barriers many face when trying to improve their careers. As a young man who immigrated to the United States, Cruz initially worked as a dish washer despite a degree in Mechanical Engineering from Escuela Nacional De Marina Mercante in Lima, Peru. By improving his command of the English language and capitalizing on the growth opportunities he was presented, Cruz was able to successfully return to the engineering field and later transition to the public sector. Prior to his career at Workforce Connections, Cruz worked on sustainability initiatives for major hotel casino companies in Las Vegas, including overseeing the development and implementation of the energy management and building automation systems at MGM Resorts International’s CityCenter. He is recognized as a Certified Energy Manager and Certified Sustainable Development Professional by the Association of Energy Engineers, as well as a Certified Public Manager by the State of Nevada. Cruz became a naturalized U.S. citizen in 1994 and has lived in Southern Nevada for thirty years. He is the proud father of two children, Samuel and Sofia. Irene Bustamante Adams serves as the Deputy Director & Chief Strategy Officer for Workforce Connections, Southern Nevada’s Local Workforce Development Board. Prior to joining Workforce Connections in 2017, Bustamante Adams spent 18 years at MGM Resorts International, working her way up from clerk to a corporate position. 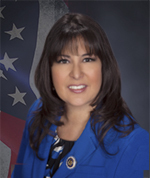 From 2010 to 2018, she also represented District 42 in the Nevada Assembly, serving as Speaker Pro Tempore in her last leadership role. Bustamante Adams was raised in the farming community of Kerman, California and woke before dawn to work the agricultural fields along side her siblings. She was the first in her family to attend and graduate college, earning a Bachelor of Science degree in business management from California State University, Fresno. In 2007, Bustamante Adams became the first Latina in Nevada history to earn an Executive Master of Business Administration (EMBA) degree from UNLV. 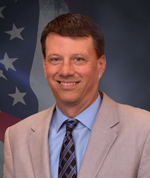 James (Jim) Kostecki serves as Chief Financial Officer for Workforce Connections (Southern Nevada Workforce Development Board). His areas of responsibility include direct oversight of federal agency funding under the Workforce Investment Act (WIA)/Workforce Innovation and Opportunity Act (WIOA). Jim is also charged with providing oversight of the operations budget for the agency as well as resource funds placed within the community. Additional responsibilities include procurement, budgeting, payroll, accounts payable, accounts receivable and cash management, among others. Prior to his assignment with Workforce Connections, Jim served as a finance analyst for the City of North Las Vegas, where he oversaw the Finance Department areas including accounts payable, accounts receivable, payroll and grant accounting. Jim is a licensed Certified Public Account and graduated from Illinois State University in May, 1991 with a Bachelor of Science degree in Accounting. Jim has served in various managerial accounting positions for manufacturing companies prior to moving to Las Vegas in early 2007 from the Chicago Suburbs. Jan Pieri, Senior Human Resources Consultant with Prism Global Management Group, LLC. Jan has over 20 years of Human Resources experience; her expertise includes recruitment, employee relations, compensation, benefits, training and development, OSHA compliance and workers’ compensation. She has provided Human Resources services to a wide variety of industries including a Fortune 500 telecommunications company, construction, economic development, non-profit, and government agencies. Jan holds a degree in Business Administration from Southeast Missouri State University and is an active member of the Society for Human Resource Management (SHRM) and the Southern Nevada Society of Human Resource (SNVSHRM) organizations.